Ma'ale Adumim rabbi rules that not embarrassing a Torah reader takes precedent over correcting his mistakes. 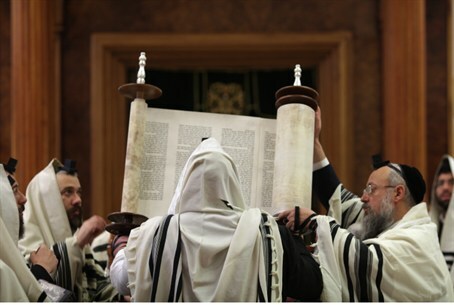 Correcting a mistake in the Torah reading to the reader is forbidden under Jewish law, according to a revolutionary ruling published by Rabbi Yonatan Raziel of Ma'ale Adumim on Friday, under the provision against causing public embarrassment. In the ruling, Rabbi Raziel cites a question posed to Rabbi Nachum Rabinowitz, head of Yeshivat Birkat Moshe in Ma'aleh Adumim. In that ruling, Rabbi Rabinowitz stated that not embarrassing the reader takes priority over the correctness of the reading, because while the former is Torah law, the latter is Rabbinic Law. Regarding the ruling of the historic legal authority Rambam reasoning that a mistake nullifies the entire public's obligation to hear the reading, the rabbi replied that it is better that the public not fulfill its obligation than to be guilty of embarrassing another person. Rabbi Raziel added that from the outset a correct Torah reading is important and should be strived for under normal circumstances. But in retrospect, in the event of an error, according to most Jewish legal authorities, including the Tur, Trumat HaDeshen, Beit Yosef, the Bach and the Eliyah Rabba, not embarrassing the reader takes precedence. The author adds to be especially careful when the Torah reader is a young teenager, an elderly person, or another more vulnerable party. He cites a story wherein, several years ago, a secular Jew decided to keep more commandments and had a Bar Mtzvah at the age of 15, and began to read from the Torah. When the crowd shouted corrections at him, and as a result he became too flustered to continue, he left Judaism entirely.